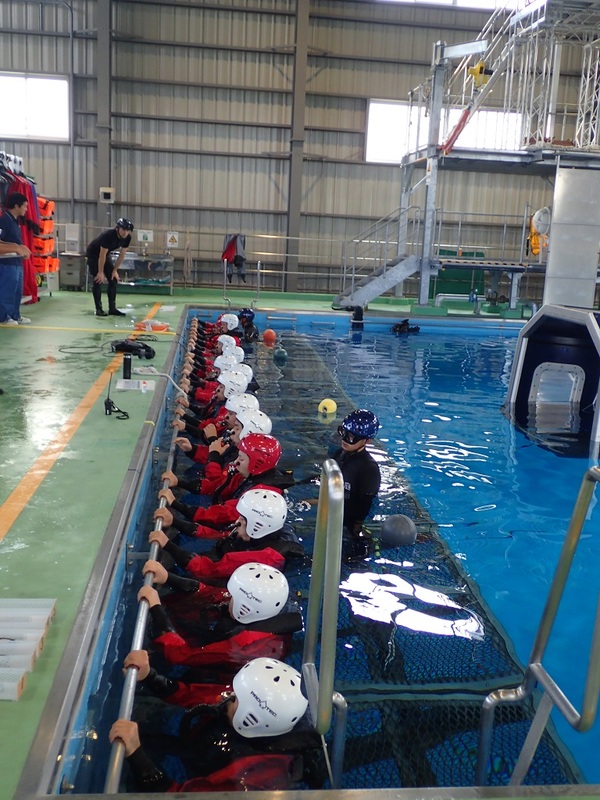 From Sep.24 to Sep.26: OPITO approved BOSIET course has been held. It is starting to become more fall like weather lately. As I walk through the street with line of gingko trees on the side, it is hard not to step on gingko nuts all over on side walk. 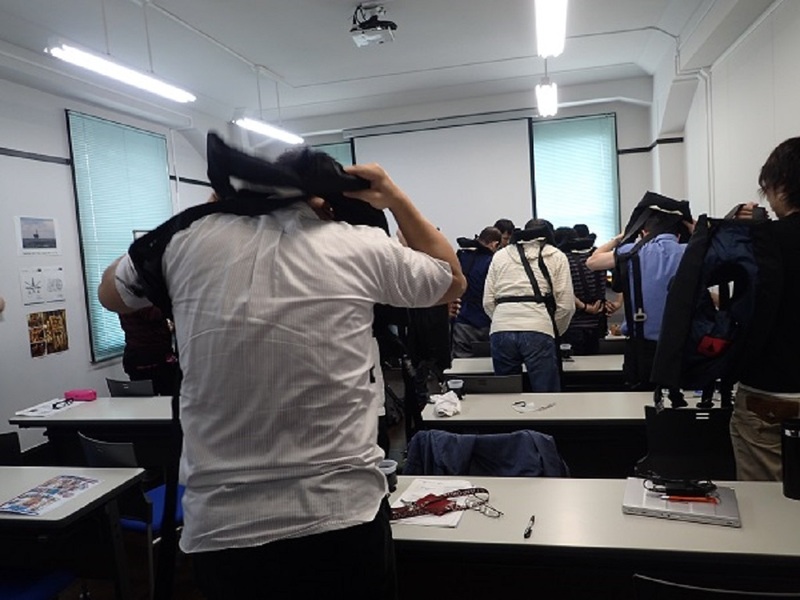 3 days starting Sep.24, OPITO approved BOSIET course has been held, and delegates from eight different companies participated. One of the delegates was from overseas, and lectures in English have also been held at same time for him. This time, three of the delegates had same last name coincidentally, so we used their first name to call them, which was not usual thing to do, however it helped to generate friendly atmosphere in the training. 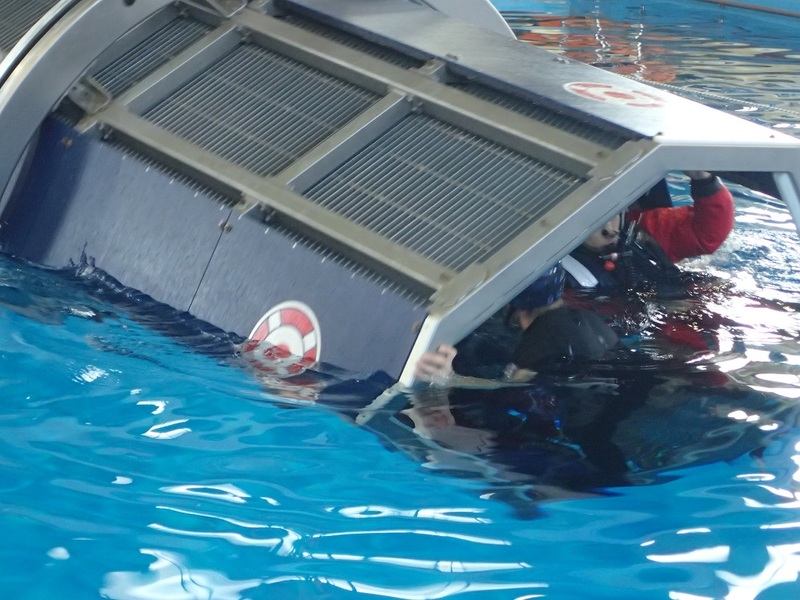 Here are some scenes from HUET (Helicopter Underwater Escape Training). At first, lectured on EBS (Emergency Breathing System) in a class room. Getting used to breathe through EBS. Helicopter simulator capsized ! Now you must escape. Let us introduce some of the comments from our delegates.